Gather around the warming fire to listen to readings, attend workshops and discuss books and ideas. 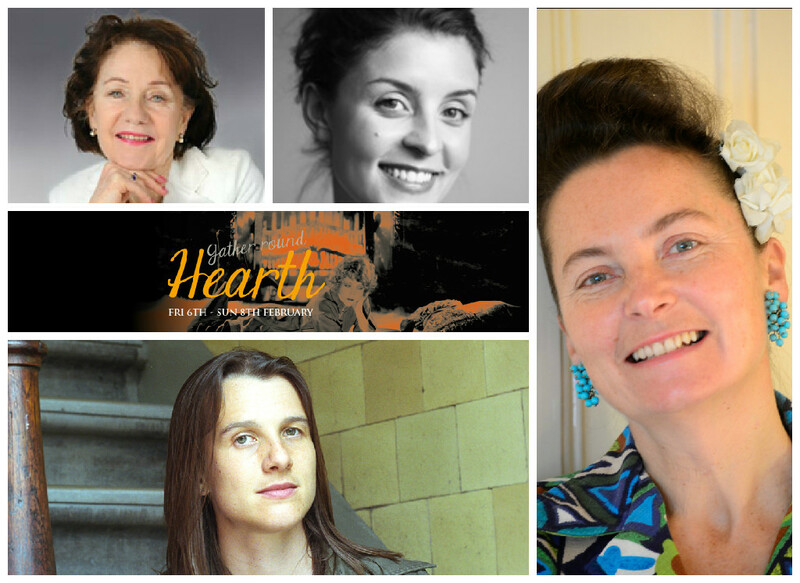 Hearth is a unique chance to spend a weekend up close and personal with award-winning writers. Improve your writing, find out how to publish your novel, get hints and tips and find inspiration. Be prepared to be enthralled and informed. Our festival in February will begin on Friday February 6, with the New Welsh Writing Awards Shortlisting Event, held by the New Welsh Review (NWR). NWR'S Gwen Davies will unveil the shortlist of the New Welsh Writing Awards from 7.30pm. The editor of New Welsh Review will also be speaking about the innovative new awards programme, for non-fiction writing on nature and the environment. The overall winner of the competition, which will be announced on February 25, will receive £1,000 as well as stay here at Gladstone's Library. Tickets for the shortlisting event cost £5. What are the issues involved in creating characters who are 'far away' from the writer's own identity and experience? Sarah will read from her novels, Ten Things I've Learnt About Love, written (partly) in the voice of a homeless man in his late 50s, and Before The Fire, which takes the perspective of a 17 year old boy from north Manchester, and talk about the process and ethics of creating these characters. She will invite questions and discussion throughout. Listen to Sarah's How Far Can You Go? talk here. Join Katrina on her journey writing her book of poetry entitled Hooligans (due to be published in January 2015). Katrina carried out her research for Hooligans, which was inspired by the Suffragettes, right here at Gladstone's Library when she looked into the life of her great-nan. Follow her journey from the original research, to her difficulties of writing from a real person in history and the ethics of staying true to life. Katrina will share her first drafts, talk about editing and look at the books she used for research...and of course you will get a sneak peak at some of the final poems. Listen to Katrina's Hooligans talk here. Listen to the tale of Suzette's transformation from lecturer to author. From taking a leap of faith and self-publishing her first novel A Load of Old Bones (which first saw daylight here in Gladstone's Library). Suzette has gone on to write six more published novels and has an eighth due out next year. She has twice been shortlisted for the Goldsboro Books' Last Laugh Award. Suzette will talk about her most recent novels, including The Venetian Venture described by The Guardian as 'charming, astringent and witty'. Listen to Suzette's Writing Novels: A Complex Masochism talk here. What happens when you think you have a manuscript ready to send into the world? Jessie talks about when and how you should approach a literary agent, and what advice you should take or reject along the way. Jessie Burton's debut novel, The Miniaturist, was published in July 2014 and spent over two months in The Sunday Times Top Ten. 'Gripping and gorgeous' The Telegraph. Join all our Hearth writers for Reading and Reflection on Saturday, February 7 from 8pm-9pm. Tickets for Hearth are priced at £32.50 for one day (includes Friday night's event, lunch or dinner on your chosen day and Saturday evenings Reading and Reflection event) or £55 for the whole weekend (includes Friday night's event, lunch or dinner on your chosen day and Saturday night's panel discussion). Alternatively tickets per event are priced at £12 (includes free entry to the panel discussion) and £5 for Friday evening's shortlisting event. To book call 01244 532350 or email us.